Sports, action, fun and games in the water park. Athletes, swimmers, pool lovers, action fans and wellness enthusiasts - all of them are here in their element. Please have a look at the wide range of sports and leisure facilities of the H2O Herford here. At the H2O, adventurers slide down the Thunderbird towards Tabokiri Island. The exciting flight and underwater travel is 110 metres long and there are some special highlights involved: the bathers are swept away through thunderstorms, meet mean sharks on their way and are amazed about amazing underwater worlds up to the end of the trip. 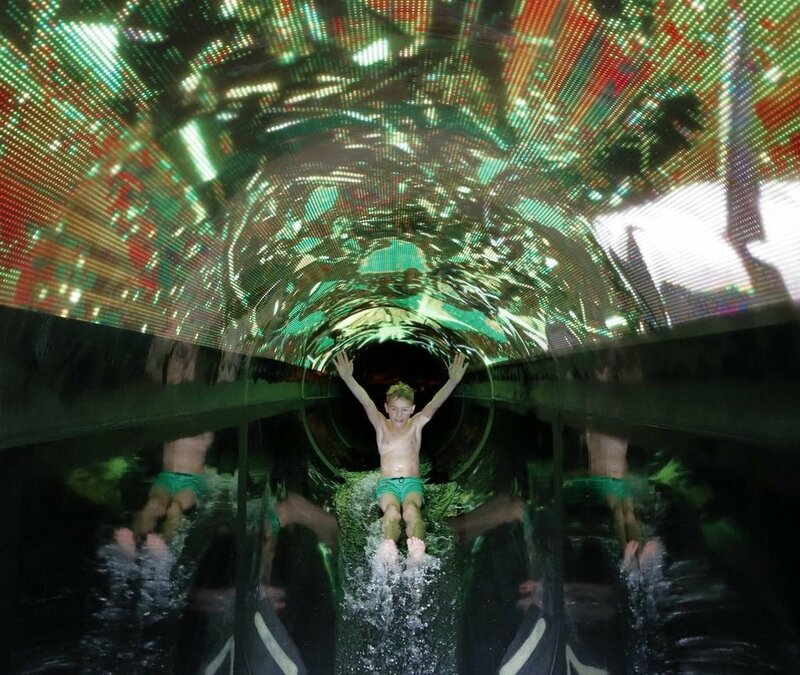 Upon arrival, there is not much time to take a deep breath – the next travel is on: in every slide expedition, the visitors dive off into a different world and discover the water slide in a new way over and over again! Three scenarios may be chosen by the traveller - the underwater adventure “Deep Sea”, a flight above the mountains in the “Blizzard” and a trip through a dark hole into “Space”. 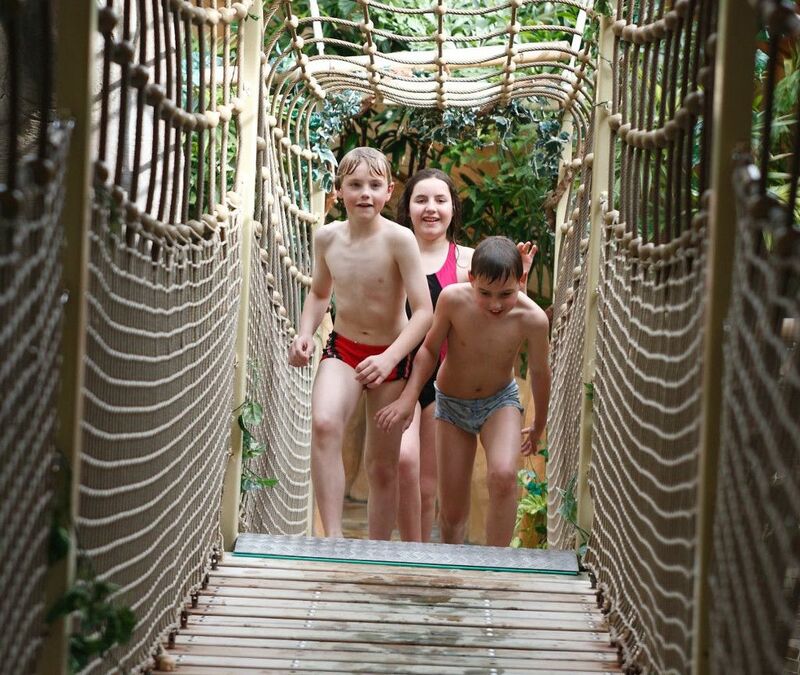 H2O Herford has lots to offer for kids: as well as two spectacular water slides and a whitewater channel, there’s also the lure of Tabokiri jungle island. 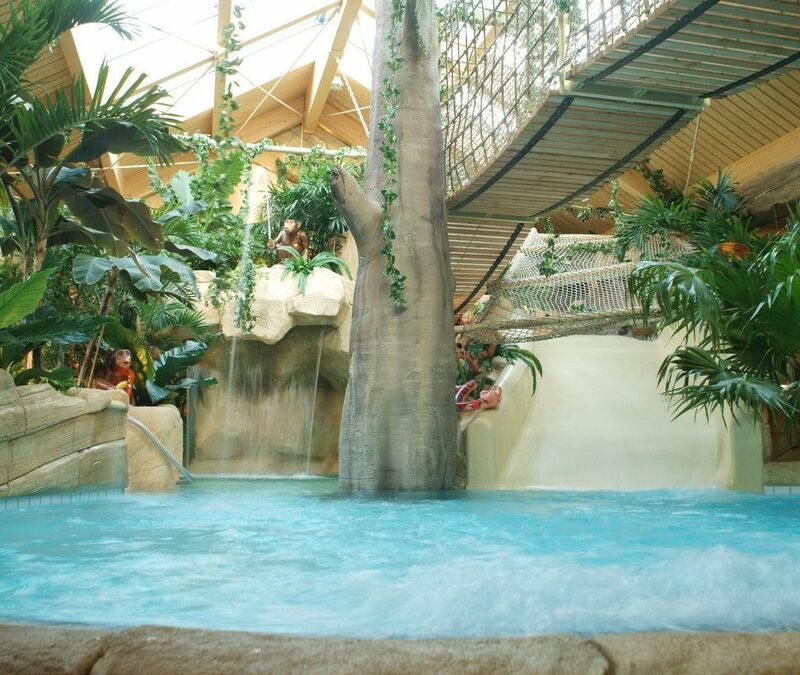 This unique adventure area consists of 400 sq m of jungle with water slides, a diving grotto, an old wooden sailing ship, a temple with a waterfall, water cannons and lots of other jungle attractions. TABOKIRI is a little island in the Caribbean. The island is covered with a huge number of palm trees and an almost impenetrable jungle with a small fresh-water river flowing through it. A grotto is partly concealed by a rushing waterfall. They say there’s buried treasure in Tabokiri Bay. There are also lots of strange animals and plants to look at. You can explore an old temple, and watch all sorts of exotic fish in a diving grotto. There are several little lakes, a waterfall and various other tropical attractions, as well as lots of fun puzzles to try and secrets to discover. Tabokiri offers young explorers exciting adventures. Tabokiri is a unique water play landscape. The little ones can romp about and splash in the water. There are all kinds of things to discover. Our numerous attractions will keep your young ones busy all day long. Meanwhile, our team will take care of your children’s safety and your wellbeing. For those who like active sports there are plenty of opportunities to enjoy their passion. In the sports pool swimmers can do time trials or swim lanes at their own pace. Alternatively, the outdoor pool is available to all swimmers. It is kept at a pleasant temperature and there is direct access via a swimming channel. Outdoor swimming is possible at any time of year. 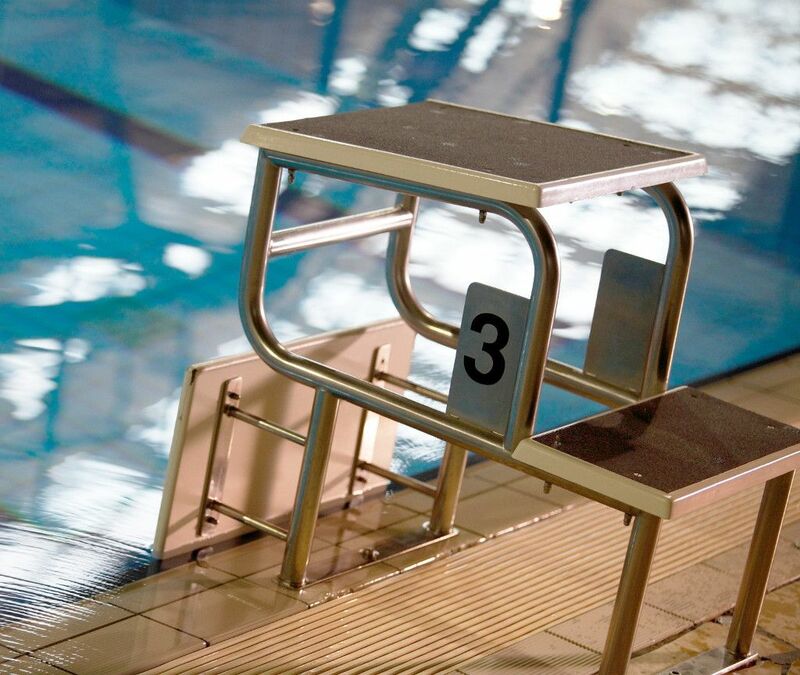 Please note: Herford clubs and schools use the indoor sports pool for training and lessons. The outdoor pool is available as an alternative during training times. Our pool dining has something for everyone. At the leisure pool we provide delicious dishes and refreshing drinks beneath the palm trees. The layout on two levels gives you a fine view of H2O as you enjoy the food and drink provided by our catering team, from little snacks to à-la-carte dishes. We have a themed menu which changes every month. The dishes are chosen according to the seasons and complement our wide range of food and drinks. Our pool dining has something for everyone. At the leisure pool we serve delicious dishes, refreshing drinks and ice cream beneath the palm trees. A wide choice is always available, from light to hearty food (H2O-Menu). In addition to our standard fare we have themed menus which change regularly. You’re spoilt for choice at the H2O Leisure Pool. Want to relax? Get some exercise swimming? Enjoy the surf in the wave pool? Or just simply prefer to lounge in the whirlpool? With a choice of activities that’s virtually unlimited, you’re sure to find exactly the mix you’re looking for. All information regarding the programme and opening times you can find in our new flyer.